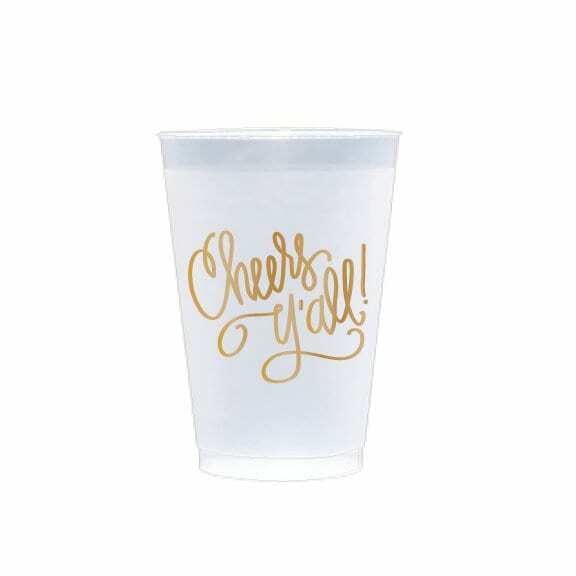 The gold text is a pretty shimmer, great quality cups. Love them! These were a total hit at our Nashville Bachelorette! They were the perfect size for frozen margaritas AND dishwasher safe.